Dozens of scientists and more than 2000 farmers have been working together to improve cow fertility in New Zealand dairy cows. DairyNZ’s Jane Kay explains how the exciting four-year project is producing astounding results, with further studies planned in the future. The North Island-based fertility project began in 2014, under the ‘Pillars of a New Dairy System’ DairyNZ-led research programme. This programme – funded from the Ministry of Business, Innovation and Employment (MBIE), New Zealand dairy farmers (via their DairyNZ levy) and AgResearch – aims to provide management and genetic solutions to improve cow fertility and lifetime productivity. DairyNZ scientists Chris Burke and Susanne Meier headed the project, working with geneticists from New Zealand Animal Evaluation Limited (NZAEL), Livestock Improvement Corporation (LIC), CRV Ambreed and AbacusBio. In 2014, farmers provided 2500 cows, contract-mated to selected sires, to produce two groups of heifers with extreme differences in their fertility breeding values (Fert-BVs). The following spring, 15 DairyNZ technicians travelled more than 32,000 kilometres throughout the North Island, to collect 640 nine-day old heifer calves. Half of the calves had a High-Fert BV (+5 percent BV), while the rest had a Low-Fert BV (-5 percent BV). Although there was no difference in liveweight gain between the two groups, High-Fert BV heifers reached puberty 21 days earlier and 25 kilograms lighter than Low-Fert BV heifers. These puberty differences provide us with earlier predictors of fertility than current measures, and offer an exciting opportunity to improve fertility in the industry. Just over 500 heifers that calved in the spring of 2017 were managed together at AgResearch’s Tokanui facilities. As lactating cows, the High-Fert BV cows had substantially greater three-week and six-week submission rates. Only 13 High-Fert BV cows (five percent) hadn’t cycled after six weeks of mating, compared with nearly half (48 percent) of Low-Fert BV cows. This led to a greater (34 percentage units) six-week in-calf rate in the High-Fert BV cows. Administering CIDRs (Controlled Internal Drug Releasers) wasn’t enough to close the gap. After the first lactation, High-Fert BV cows had a greater (25 percentage units) pregnancy rate than their Low-Fert BV counterparts. These large differences in submission and pregnancy rates provide confidence in the current Fert BVs. They also provide the foundation to scale up this research and capture data from a much larger group of animals. DairyNZ hopes to enroll 8000 heifers next autumn in an initiative designed to incorporate new puberty and fertility measurements into the Fert BV, making it even better still. 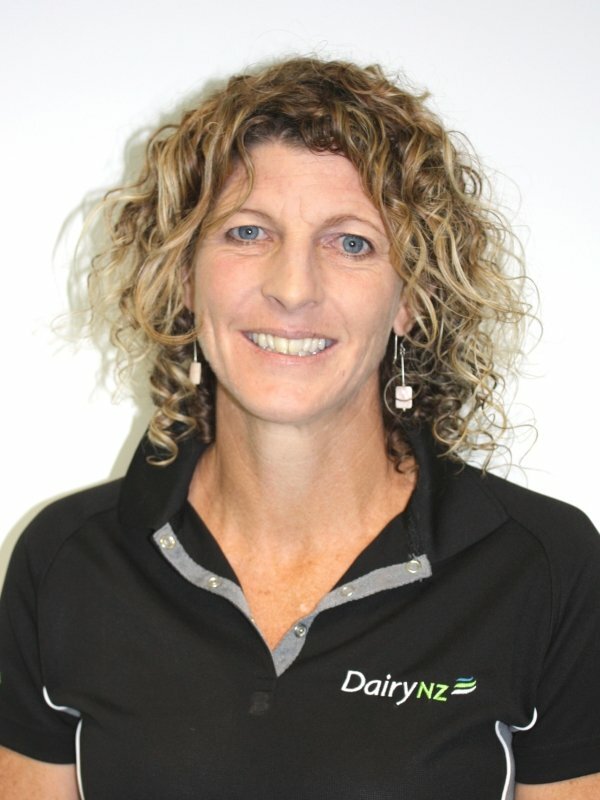 DairyNZ senior scientist Jane Kay.